Eternal security, or assurance of eternal salvation, is a fundamental concern for every believer in Jesus Christ. How do you know if you're saved? What are the evidences of it? 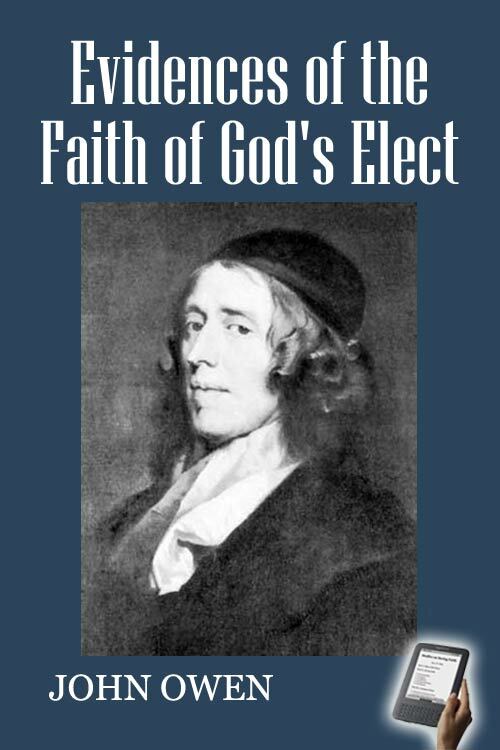 This little book by John Owen lays out four simple evidences to test whether we believe the Gospel. He examines the saving content of that belief, and how we ought to visibly respond to it. He uses similar language to that used in Pneumatologia, and Remainders of Indwelling Sin in Believers. Yet his language here is simpler and more straightforward. But times have changed, and language has changed. And so this book has been modernized and annotated for you. It's a restatement and simplification of his original work, but not a paraphrase. You may reproduce the text so long as you do not change it, or sell it to anyone, or claim it as your own. You should know that there is an unusual use of language involving the word "act." We say that we "act in faith," or "act under grace," and the Spirit imparts the grace that we act under. But Owen says that the Holy Spirit "acts grace" in us, and we "act faith" (rather than "act out our faith"). He also describes a God-given "principle" – not a value, but an ability or a compelling power in us — that we act, or actuate, according to its purposes. It "quickens," regenerates, or restores our faculties – our mind, will, and affections – from their fallen and corrupted state. And then, under this principle we act the graces He communicates to us. So, the Spirit imparts this principle to us, employing it to effect its purposes, using its real power in and through us, to produce its intended effects. And we freely participate by acting it — i.e., by putting that principle into gracious and holy action using our regenerated faculties. Unlike Joseph Alleine's Alarm to the Unconverted (1671), which may cause the greatest saints among us to doubt their salvation, this will encourage and strengthen your assurance, that your faith is a saving faith. But if you find it is not, this will inform you what must be done to be saved. And so I commend it without reservation, to every believer in Jesus Christ.